Tonight we are marking the end of our 175th year in existence. I don’t want to spend this evening telling you of boring stories of our glory days, but rather to reflect for a moment, not so much on what we have achieved over these years as why it has been achieved. Last time I was in the outstanding museum of slavery in Liverpool I saw a poster there: it said remember not that we were enslaved, but that we fought. That remains the truth today as it did in the past. From the brick kilns of northern India, to the agricultural fields of west Africa and North America, to the servants quarters of every major city of Europe, ordinary people are struggling for decent work, for dignity, for freedom for themselves and their families. Change when it comes arises from that insistence from ordinary women and men that the powerful cannot ultimately ignore. It was the courage and belief of a disparate coalition people of conscience and courage across the globe from the Quakers and the trades unions in Britain who founded Anti-Slavery International, to the Maroons, and Sam Sharpe and Toussaint in the Americas that forced the British Government to end first the slave trade and then abolish slavery itself in the British Empire. That same dynamic was something that Lincoln recognised when he saw that the action and sacrifice of, among others, the black troops of the Union army would not let him reconstitute a slave-holding union. It’s something that this British government recognised when people of conscience and courage in businesses, trades unions and civil society, many who are here this evening, put their names to a demand to the British Government for more robust anti-slavery action on supply chains. Much work remains to be done to ensure that the modern slavery bill going through the UK parliament is truly world leading, providing proper statutory protections for victims of forced labour, and ending the de facto legalisation of trafficking for domestic servitude. 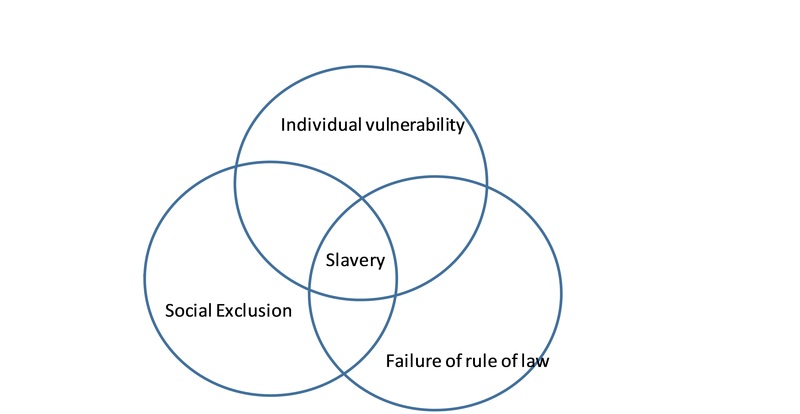 Yet more work is required internationally to ensure that slavery eradication is recognised as fundamental to poverty reduction and advancing human development, and to ensure that those who are struggling for freedom across the globe are offered solidarity and meaningful support and not merely warm words and empty sentiment. Martin King once said that the moral arc of the universe ultimately bends towards justice. It does because human beings twist it in that direction. Everyone here tonight, through numberless acts of courage and belief have been writing the anti-slavery history of our times. Let’s keep going for as long as that takes until finally, we have overcome.